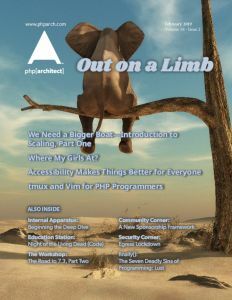 This article was originally published in the February 2019 issue of php[architect] magazine. You can read the complete article at the following links. To see the full issue, please subscribe or purchase the complete issue.